ALL OF OUR ACUPUNCTURISTS are licensed by the State of Rhode Island, and were trained in graduate-level training programs across the country. WE ONLY USE single-use, sterile, disposable acupuncture needles. ACUPUNCTURE is one of the oldest, most common and dependable medical therapies used in the world. It is by nature simple, safe and effective health care. Acupuncturists use thin, sterile disposable needles inserted superficially into specific areas of the body in order to help the body’s ability to heal itself. Over the three decades or so in which acupuncture has developed in the U.S., it has been proven to be exceptionally safe and effective. We do not accept insurance coverage, but would be happy to offer a receipt for your visit so you may submit it directly. Keep in mind that the cost of an acupuncture treatment here at PCA can be substantially less than a discounted rate on a typically-priced acupuncture visit-or even a typical insurance co-pay. We accept cash, checks, and all major credit cards, including cards for Health Savings Accounts (HSAs) or Flexible Spending Accounts (FSAs). How much should I pay for treatment? I want to bring a group in for treatment, invite PCA to an event, or ask for a donation of money or treatments. How do I do that? Thanks for reaching out! We love doing all of those things as we are able. Please fill out the online form available here to give us some more information about what you are looking for. You can expect to hear back from us about your requests as soon as we are able. Do I need to bring my own linens? No, we provide a safe and clean treatment setting by carefully choosing and monitoring all of our linens which are cleaned regularly. Please leave your linens at home and use ours when you are here. Thanks to Andy Wegman of Manchester Acupuncture Studio for these questions and answers lifted from his book- “Why did you put that Needle There?” Download or listen to Andy read these and more questions about community acupuncture here. We also have Andy’s book for sale at PCA. How Many Treatments Will It Take?? Traditionally a course of acupuncture treatment in China is treatment daily, 10 days in a row. WCA realizes that most people can’t come get treatment almost every day, so we have designed our clinic systems and pricing to help people come as frequently as possible for each person’s unique situation. Do what works for you. If you can only come once a week or once every 2 weeks, then that’s great, please do that. You will still see results, just maybe a bit slower. Most commonly we start people off with a recommended 2 times a week for 3 weeks. After completing 6 treatments we will reassess how things are going with you and either suggest that you continue to come at about this same frequency for a bit longer, or at that time you might decrease frequency to maintain the benefits you’ve received. At your first visit we will give you an overall treatment plan for your main complaint. Any time you come in for treatment feel free to check in about your treatment plan with one of the acupuncturists. In some cases, like with very acute pain, labor induction, unrelenting migraines, nausea, etc. we recommend daily treatments until things change more significantly. Why would I want to have an acupuncture treatment? As acupuncture is part of a whole and logical medical system, there is almost always an approach for an acupuncturist to take for helping to manage a health problem – or even better, help you to remain pain and illness free. In 1979, the World Health Organization published a short list of conditions seen as appropriate for treatment with acupuncture. This is not a complete list of conditions appropriate for treatment, but just some examples. How much does an acupuncture treatment hurt? Usually not much at all. Most people are deeply relaxed and/or asleep once all points are placed. Most people don’t realize that we DO NOT have to place the needles where the pain or problem is located. For example we can treat back and hip pain using points on the arms and legs. What’s the difference between a visit to a typical acupuncture practice and a community acupuncture practice? Most acupuncture treatments in the United States take place on a table in a room by oneself. This is not traditional in Asia, where acupuncture usually occurs in a community setting. We all know the value of ‘power in numbers’, right? Would you prefer to eat in an empty restaurant, or one that is full of people and bustling? Or how about an empty movie theater? Us too! A healthy group setting creates a dynamic that can be used for all of our benefit in an acupuncture clinic. Receiving treatment in a community setting has other tangible benefits, as well: it’s easier for friends and family members to come in for treatment together and many patients find it a relief to not be isolated during their treatment. In addition, the community setting allows patients to decide how long their treatment will take, as the ‘right’ amount of time varies from person to person, visit to visit. This can take anywhere from twenty minutes to a couple of hours. You can stay as long as you feel comfortable doing so – or until we close for the day! When you are feeling as though you are ready to end your visit, or need to get our attention, just give us a wink, nod or smile, and we will remove your needles or be available otherwise. Lastly, our clinic uses a sliding scale fee schedule to help make acupuncture available to the whole community. What happens during an initial visit? You’ll need to fill out forms which can take a few minutes to finish, so please come 20 minutes early to complete them. Or, you can download the forms right from our website and have them filled out as best you can for your visit ahead of time. This helps support us, since it reduces the amount of paper shuffling on our end. The forms are in PDF format. You can find the new patient paperwork here. 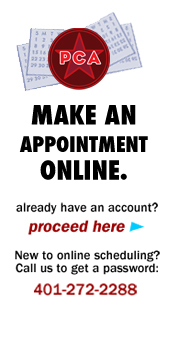 There is a $10 one-time consultation fee due at your first visit. After paperwork is done, you’ll then consult with your acupuncturist to discuss your health concern(s) after which time a treatment plan will be recommended for you. Your acupuncture treatment comes next. Please wear loose, comfortable clothing. After removing your shoes, you’ll just have to roll your sleeves and pant legs up, in order to get ready for your treatment. We mainly use styles of acupuncture which allows us to select points primarily on the arms and legs. All treatments happen in a peaceful and comfortable group treatment room, in recliners. What happens during a typical follow-up treatment? After paying for the visit and scheduling future visits (if needed) our patients will bring themselves into the treatment room on their own and make themselves comfortable in a recliner of their choice. After a brief conversation between patient and practitioner, pulses at the wrist and neck are taken. Depending on a variety of factors, a specific point prescription is selected and the needles are placed. Typically people feel sleepy and will nap or rest for a while. An average visit lasts 45 minutes to an hour, but you can stay for a longer or shorter time if you wish. How does it work/what is it really doing? we don’t really know. But, whether seen as a result of particular chemical/hormonal processes, movement of bio-electricity, vascular excitement, regulation of the central nervous system, connective tissue communication, ‘placebo’ effect, positive thinking or the manifestation of qi, we do know that acupuncture works. In general, you can expect to feel relaxed for several hours following an acupuncture treatment. Some people get immediate relief from pain, allergies, common cold symptoms, etc. Others find their symptoms recede gradually over a few days. Everyone responds to acupuncture differently. Feel free to discuss this with the acupuncturist who may adjust your treatment plan based on your response to the treatment. Anything else I should know before I get acupuncture? You’ll most likely stay for an hour or so, it’s a good idea to not arrive hungry; you’ll relax better if you’re not. We ask you to please wear your shoes in the clinic, to turn your cell phones off, and to avoid wearing any scented products like perfume or after-shave, because these can trigger allergies, migraines, and asthma for some people. Last of all, come prepared to relax. Hello! How long do you acupuncture sessions typically last? An hour? More or less? Thank you. Most people stay somewhere between 45 minutes and an hour, but it varies and is ultimately up to you how long you stay. Hello! How long do your acupuncture sessions typically last? An hour? More or less? Thank you. Hi Kayla- one of the great things about our set up is that people can stay as long as they like, resting with the pins. On average most folks stay between 45minutes and and hour, but some folks *cook* slower or more quickly and stay for other amounts of time besides the average. Just let us know if there is time you need to get up and we will get you up then. How do I purchase sessions as a gift? Just come on in during the time our Front Desk Staff is on hand (M-F 9am to 7pm, Sat. 9 -1, Sun. 9-5) and they will get you set up with a gift certificate. We take cash, checks, credit and debit cards. Do you treat serious psychiatric disorders, such as bipolar disorder or psychosis? Acupuncture can be a very helpful management tool for a wide variety of mental health concerns, including bipolar and potentially psychosis. The only way to know if acupuncture is going to work for a particular situation is to try it. When something has been going on for a while and is significantly affecting someone’s life, it definitely takes a series of treatments to see if acupuncture will help them find relief. As long as someone is interested in trying acupuncture, able to consent to treatment and can be comfortable in our quiet group treatment room for 45 minutes to an hour, we recommend trying it out. Can multiple issues be treated at the same time? I would be interested in treatments for sciatica and depression..
Hi Tom: Yes, that’s one of the great things about acupuncture. It can help multiple things at the same time. Sciatica and depression are both issues we treat all the time and acupuncture is often very helpful in relieving both. Can you tell me the credentials of the accupunturist? Is it the same as going to a private practice acupuncturist? What is the difference in training if any? All of our acupuncturists are licensed by the state of Rhode Island which requires the same national examination and educational requirements for all licensed acupuncturists regardless of whether they practice in community acupuncture clinics or private room settings. There is currently only one school that is dedicated to training people to do community acupuncture, and that is called POCATech. It’s located in Portland, OR and you can read more about it at http://www.pocatech.org. Providence Community Acupuncture is part of a cooperative that supports POCAtech because we want there to be lots and lots of community acupuncture so lots more people can access it. The curriculum at POCATech is different than other acupuncture schools because of our focus on social justice and liberation acupuncture as our school of thought. POCA Tech will be graduating its first class this summer and these new fledgling acu-punks will be spreading their wings to fly out into the world to make more acupuncture for more people possible. In the treatments you provide do you use either of these techniques: Functional Dry Needling, or Dry Needling? Dry needling, and functional dry needling are terms used by physical therapists. The techniques use acupuncture needles and are similar to techniques used in acupuncture such as ashi (or painful) point needling, and trigger point needling. We rely on a variety of acupuncture techniques at PCA to work with people toward their (and our) goals for pain relief, decreased inflammation, improved mobility and function, etc. The techniques used by each acupuncturist are dependent both on their training and the patient’s needs, tolerance, etc. Acupuncture encompasses many, many types of needling techniques from modern to ancient, and from all over the world: China, Japan, Korea, Vietnam, and more). We regularly treat people with neuropathies with good results often. The only way to know if acupuncture is going to work for a particular situation is to try it. Can acupuncture help treat Binge Eating Disorder? Acupuncture is often useful at helping support people in finding healthier coping mechanisms, relieving stress and anxiety, and feeling more at home in their bodies. We’ve worked with lots of people recovering from eating disorders who have found that acupuncture is a helpful tool in their healing process. It’s worth trying out to see if it could work for you or the person you are asking about– call us if you want to make an appointment. What is cost per visit? We use an affordable sliding scale of $15 to $35 per visit, no questions asked. The first visit there is an additional $10 new patient paperwork fee. We take cash and checks. You need to call to make an appointment. Our number is 401-272-2288. Our fees are on a sliding scale of $15-$35. You decide what you will pay. The treatment is the same. For new patients there is a one-time $10 fee on the first visit plus the treatment fee on the sliding scale. i would like to know if acupuncture will help with panic attacks? Yes acupuncture can help with panic attacks. One acupuncture treatment can greatly help with feelings of anxiety, and at least one series of treatments is usually needed for anything that has been around for a while. The answer to this question is yes and no. We try to support all the people we treat with their health goals and when people come in for help with weight loss this is what we usually say: Acupuncture needles will not cause a body to shed pounds. It will however help to alleviate the effects of stress, which are known to effect hormones,metabolism, digestion, inflammation, and sleep. All of these factors, along with pain, can impact a person’s weight goals. Acupuncture most likely will NOT reverse bone loss in a 58 year old person. However, it may be helpful in slowing down further bone loss. Of course there are other factors involved in bone loss. Things like thyroid issues, Calcium intake, how well a body absorbs Calcium, and weight bearing exercise all impact bone density. As far as what you read about the Kidney meridian- yes, in the Chinese medicine framework the Kidney is responsible for bones. where do i become a member on the site, can’t seem to find it, my membership expired and i want to continue. Does anyone come to the facility for infertility acupuncure? I noticed it is only on arms and legs. Effective acupuncture does not require that the affected areas be needled directly. Distal point treatments, the points on the arms and legs, hands and feet, are the most effective points on the body. We treat for fertility all the time. We treat a lot of people for fertility issues. Distal points treat everything and are some of the most powerful points in the body. We treat back pain, headaches, allergies, digestive problems, and many many more things using points mainly on the arms and legs, hands and feet. Fertility issues are easily addressed in our setting. We use distal points on the arms and legs to treat all kinds of things including gynecological issues, and fertility. We use abdominal points as needed.